B1817. 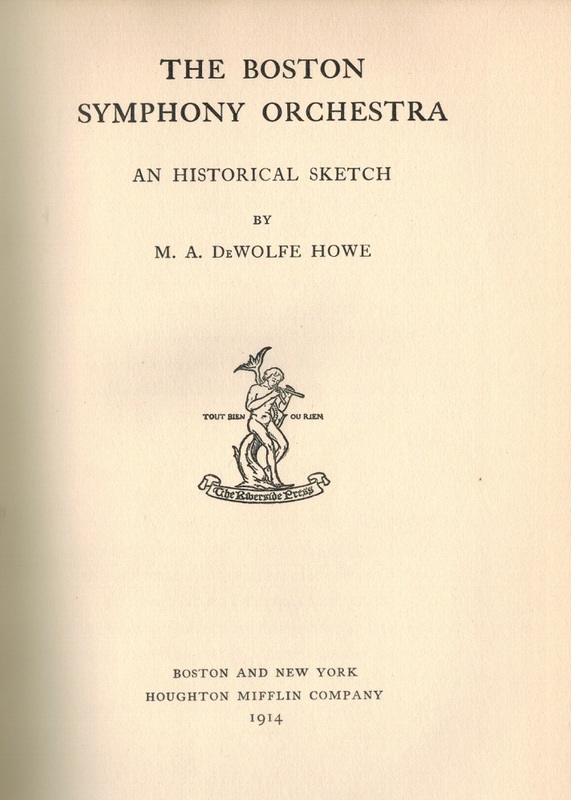 M. A. DeWolfe Howe. 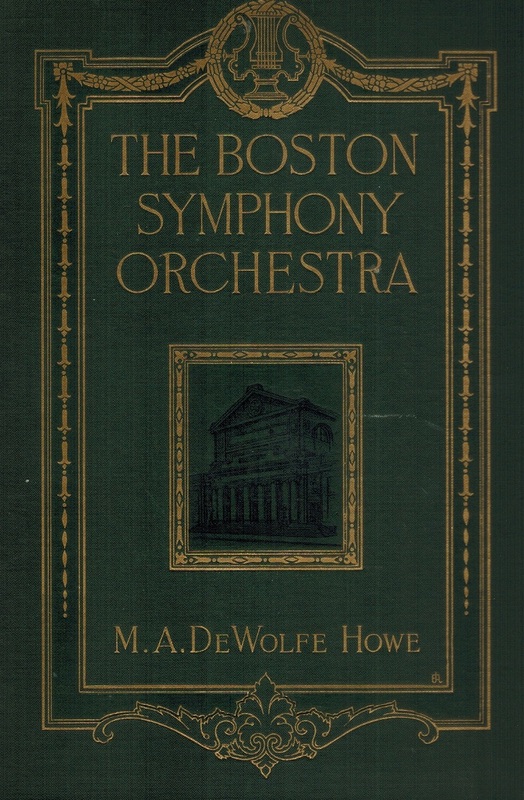 The Boston Symphony Orchestra, an Historical Sketch. Boston, Houghton Mifflin, 1914. 280pp. Index; Photos. The Beginnings under Georg Henschel; The Establishing under Wilhelm Gericke; The Service of Arthur Nikisch and Emil Paur; The Second Term of Wilhelm Gericke; Karl Muck, Max Fiedler, and again Dr. Muck. An extraordinary copy of this Original Edition.